Whether students commute to or live on campus, they should attend Student Life events starting with the Week of Welcome August 19 through August 25. Educate yourself by reading USC Aiken's Policies. Encourage your student to seek out activities that are of interest to them. Review these sites in advance: Student Clubs and Recreation. Ask questions and give them time to answer, i.e., "How will you determine what parties are safe and what parties are not safe?" "What will you do/say to remove yourself from a situation? Be prepared to listen and respond to answers that may surprise you. 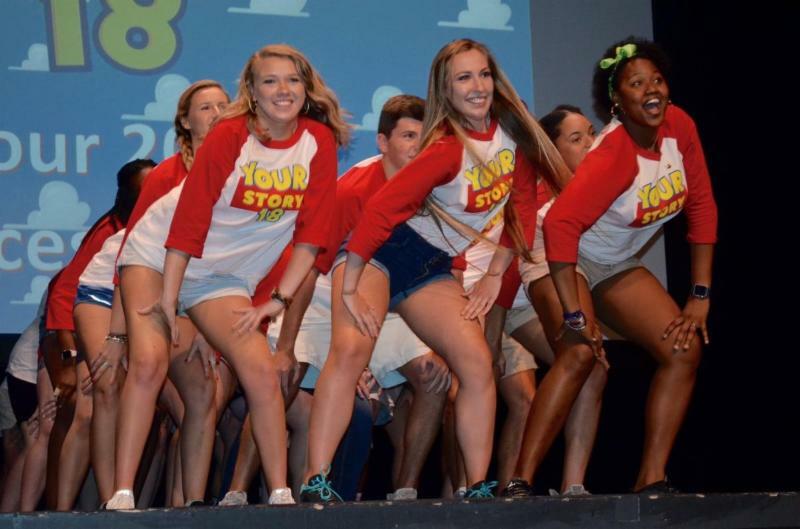 Pacesetters tell incoming freshmen to, "Create Your Story" by choosing positive activities and declaring, "You Got a Friend in Me! " Be informed by reading the national Institute on Alcohol Abuse and Alcoholism web site. You may think that students don't listen to parents or guardians, but they do; and they remember. 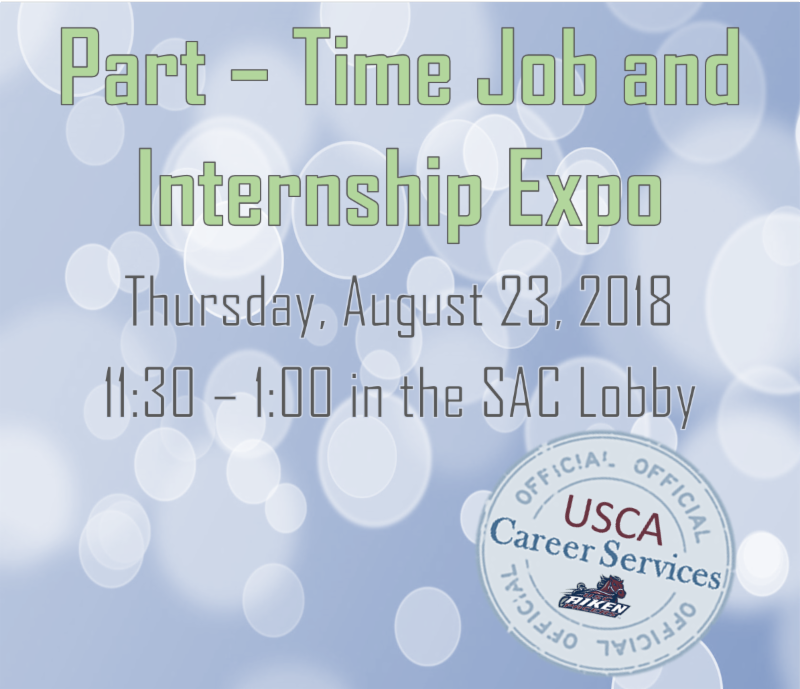 The Part-Time Job and Internship Expo is designed to help students meet and interact with potential employers who want to fill positions both on and off campus. On August 23 rd from 11:30 a.m. – 1 p.m. employers will be in the Student Activities Center lobby to recruit for internships and part-time jobs. For students who need to work to be able to pay for school and basic living expenses, this event provides a great opportunity to speak to a variety of organizations that are looking for part-time employees. Other students will want to get experience to "test drive" a career direction and make themselves more competitive in the job market. The Expo will offer them opportunities to secure internships, many of which are paid. This event is sponsored by the Office of Career Services. Freshmen, sophomores, juniors, seniors, and graduate students are encouraged to attend! Alumni are welcome! 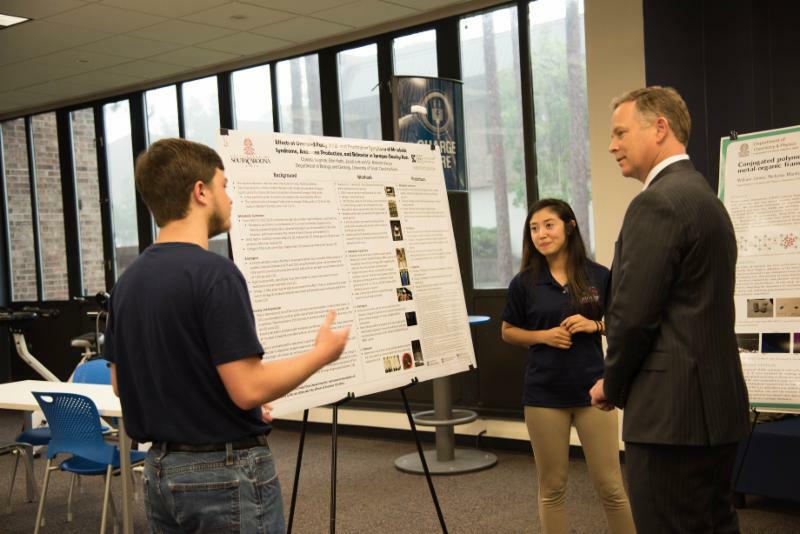 In total, scholars have received upwards of $50,000 for their summer research. Some of them earned biomedical grants from the National Institutes of Health as part of its Institutional Development Award (IDeA) Networks of Biomedical Research Excellence, or INBRE, program. The Department of Energy funded some of the USC Aiken undergraduates' summer research with Workforce Opportunities in Regional Careers, or WORC, grants. Additionally, some scholars received funding from local partners, including ADP, Augusta. Students who are interested in research opportunities should contact the Center for Research Excellence. . 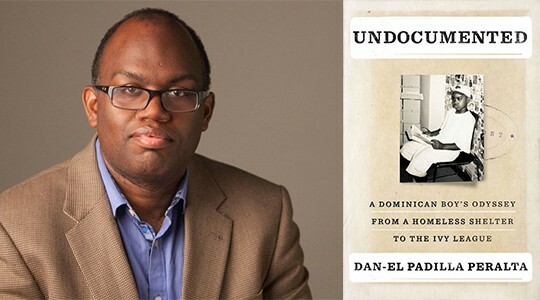 If you’re looking for a good, thought-provoking summer read, pick up a copy of Undocumented: A Dominican Boy’s Odyssey From a Homeless Shelter to the Ivy League, by Dan-el Padilla Peralta. This paperback is required reading for our incoming freshmen and transfer students as part of their Critical Inquiry course. Reading it enables you and your student to share reactions to the book. It also reinforces how important it is to process and think critically about this - and future - assignments. Undocumented chronicles the life and experiences of the author who immigrated to the United States from Santo Domingo with his parents when he was a young boy. We are excited to announce that the author, Padilla Peralta, is the guest speaker for Freshman Convocation. Students will learn more about his personal and academic journey, and will also have the chance to meet him and ask questions about his experiences. Copies of Undocumented are available for purchase in the Pacer Shoppe, as well as online and at most book vendors. The USC Board of Trustees recently approved tuition rates for the USC system. The general in-state tuition rate for USC Aiken will increase by approximately $129 (inclusive of tuition and fees) per semester. This represents a 2.5% increase and will go toward mandated costs not covered by state appropriations. For more information on this as well as housing and meal plan costs, please click here . We realize how hard students and families work to provide funding for college expense. Staff in the Financial Aid Office will continue to do everything they can to make students' education become a reality. If you would like to receive official university announcements including emergency text messages from USC Aiken, click here. Plan to visit campus for Family Day on Saturday, September 29, 2018! Activities include listening to the USC Aiken Jazz Band while enjoying brunch with our Chancellor, Dr. Sandra Jordan. Extend your visit by enjoying activities in downtown Aiken. 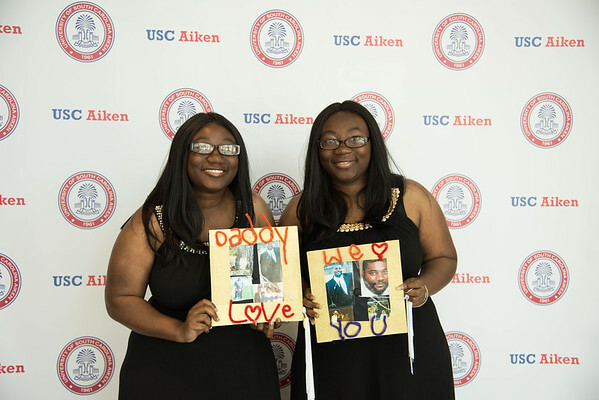 USC Aiken is pleased to announce the opening of a Parent and Family Relations office! Be sure to read our monthly e-newsletters (like this one) to stay updated on USC Aiken news and events. If friends or family members would like to receive a monthly newsletter as well, please have them sign up here. In the meantime, go to the " Just for Parents" web site for helpful resources or contact Sandy Talbott at sandyt@usca.edu, Monday - Thursday, 8:30 a.m. - 4:30 p.m. for general questions.